Just as time only moves forwards, so do new bird lists. Once the December 31st clock strikes midnight, I can’t help but archive the old one and start another for a new year. Whether one happens to be obsessive or not, it’s a great excuse to make and meet birding goals, and bird on the sly no matter where you are or what you may be up to. Heck, when you think about it, if you are a serious birder, you are always sly birding at all times anyways so you might as well keep a year list. At least, that’s how I see it. The notion of sly birding reminds me of being a lone birding kid and noting my lifer Prairie Warbler during a grade school walk-a-thon at Goat Island. There were so many birds in every bush, it must have been a fall-out. I mean, even without binos, I could see numerous small birds shaking the vegetation in what seemed to be every bush and every tree. I didn’t have my binos but still noticed the diagnostic facial pattern of that Prairie. But, I was with non-birding friends so I didn’t say a thing. The tick was a silent one, there was no new bird dance, but it was a lifer all the same. To this day, I can’t help but wonder what else was using the woods of Goat Island on that wet September, 1984 morning? 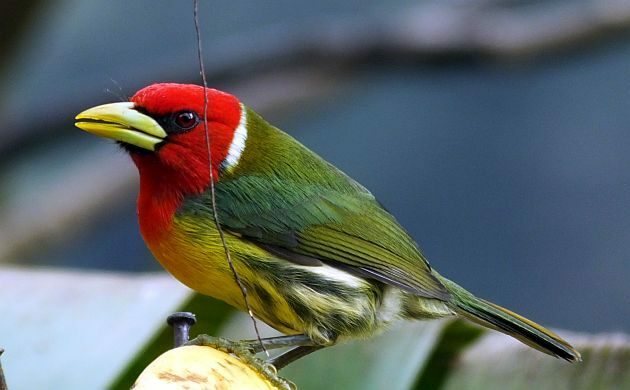 Although I didn’t do a dance for the Red-headed Barbet either, it kind of deserves one every time you see it. More than 25 years later, I’m still sly birding because it’s automatic but I also bring out the binos for much more focused efforts. This year, I’m hoping that combination will push the year list past 700. 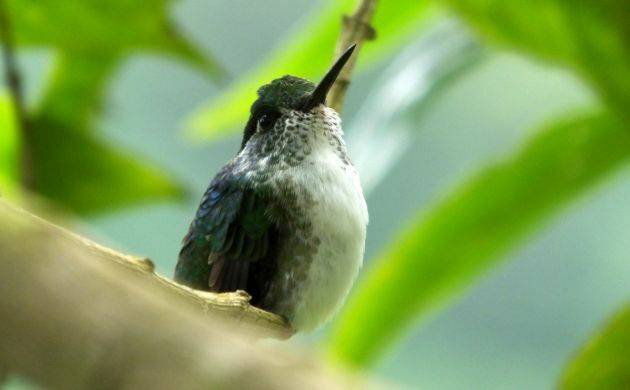 It’s going to take a while but if I can expend time and energy (aka birding kung-fu) in the right places, I can certainly make that happen for Costa Rica. So far, apart from a few outings and guiding days, my efforts have been mostly sly. Nevertheless, I still have over 232 species including the latest addition- a Striped Owl heard from my bedroom window as it called into a moonlit night. The real kung-fu birding deal, though, kicks off tomorrow when I start 4 days of guiding down around San Vito. There will be new birds on the way there, down around San Vito, and on the way back, including a bunch of key targets. I can’t wait to see what this list will look like on Sunday, and it’s just going to keep on growing after that. With luck, this bird list will also see species from other countries, I hope “wherever else” ends up referring to Colombia and Brazil! It was nice to already add the local White-bellied Mountain-Gem. Where Are You Birding This Third Weekend of January 2017?